So much precedence is placed on looking after the skin on our faces that often other areas of the body can be neglected and can age at a more rapid pace, acting as a giveaway to our real age. One of the most common areas for this to occur is in the neck, on which the skin can quickly become papery due to the low-fat content, but on which the beauty industry does not place as much importance on keeping youthful. Obviously, to some extent, problems with the skin on the face can be concealed by makeup, and often help to define our appearance – it’s not uncommon for people to like their laughter lines or their crows’ feet, identifying them as a sign of a life well lived. But a sagging neck? Not so much. But solutions to the problem are limited; topical treatments are usually very limited in their efficacy, and solutions like concealing the area with items of clothing, as could be possible with other problem areas, are ineffective for the neck. 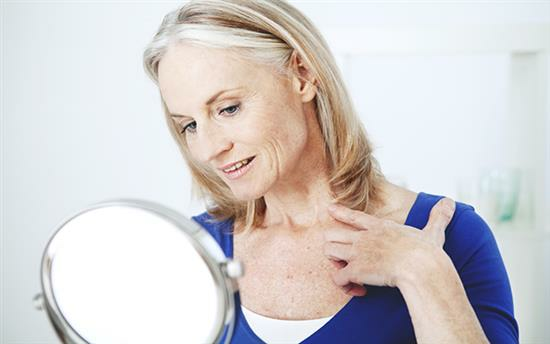 Surgical intervention is often sought not as a last resort, but as a strategic approach to something that is causing the appearance of premature ageing. If you do choose to undergo neck lift surgery, the procedure itself will depend on the exact problem. The loose sagging tissues may be due to excess fat, excess skin or loose neck muscles or a combination of all three in relatively different degrees. There are different strategies available to address these factors. For example, excess fat in the neck will need to be corrected with some liposuction at the same time as the neck lift. Loose neck muscles, called the platysma muscle, may cause the presence of vertical bands which will need to be tightened. This may be carried out either via the usual face and neck lift incision around the ears or via an additional incision under the chin in which case the procedure is called a platysmaplasty. A neck lift will be performed under general anaesthetic – meaning that you will be asleep. Incisions will be made around the ear similar to a facelift incision and the scar will extend into the hairline behind the ear. However, no hair needs to be shaved. The procedure is generally performed with a lower face and neck lift so it should simultaneously provide benefit to the jawline at the same time. As with all expertly performed procedures, the surgery is tailored to the individual addressing the ageing factors where they are apparent and of concern. Therefore, every patient may have a different type of technique and extent of surgery required. Postoperative scarring might never disappear completely, but they can be very well concealed in the curves and creases around the ear or within the hairline. Once incisions have been made, the skin will be lifted, allowing access to the muscles and tissues responsible for the tone in the neck. These muscles will be tightened and adjusted to give a tauter and more youthful appearance to the neck. If necessary some liposuction is carried out to remove any excess fat. Mr Chana generally uses VASER liposuction for this in view of its various advantages for fat removal such as its precision and reduced incidence of side effects. Any excess skin will be removed from the area before the incisions are stitched closed and you’re left to recover. Postoperatively, you will be required to stay in the hospital overnight and will have to wear a dressing over the neck for the first night. If extensive liposuction has been carried out then a garment around the chin and neck may be required for one week. Once you return home, for the first few days, you should avoid putting pressure on the neck or sleeping directly on any wounds that are healing. You should take at least a week off work, and wait at least 4-6 weeks before you resume participation in any strenuous activity like sports. These recovery times are a general guide and largely depend on the rate of your healing, so close liaison with your surgeon postoperatively is advised. Any discomfort you experience can be managed with mild painkillers, which will be prescribed to you by your surgeon; it is important that you do not take aspirin, which can interfere with the healing process. You should expect some routine swelling and bruise postoperatively. This is completely normal and nothing to worry about. There is also the slight chance of infection, but the chance of this is dramatically lowered if you carefully follow the after-care advice laid out to you by your surgeon. You can learn more about the risks and potential side-effects of neck lift surgery on the procedure page, although the chance of developing any of these is low.